We have been working on a 1976 Chrysler Dagger 14 sailboat. One of my biggest challenges was going to be finding a sail for the boat. A local sail shop (yes a sail shop in the upstate of South Carolina) quoted me $450 to make a new sail. 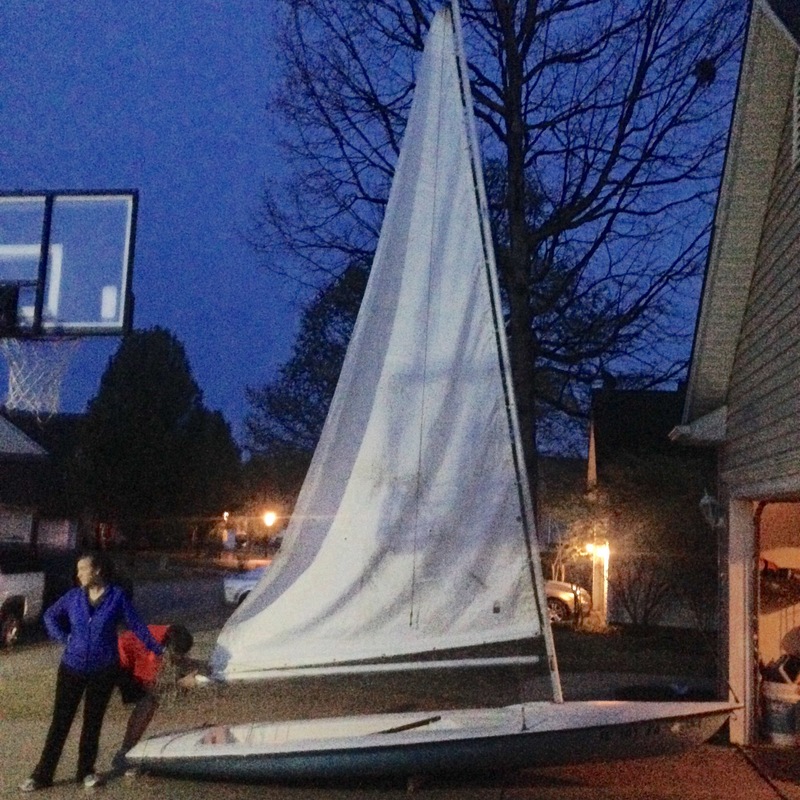 Knowing this was my worst case scenario I began searching online for the right sail. I finally tracked down a sail at Minney’s Yacht Surplus store in Costa Mesa, CA. They were great to work with and the used sail was only $95. I decided to convert over to a slug and shackle system which should be easier to use for one person. 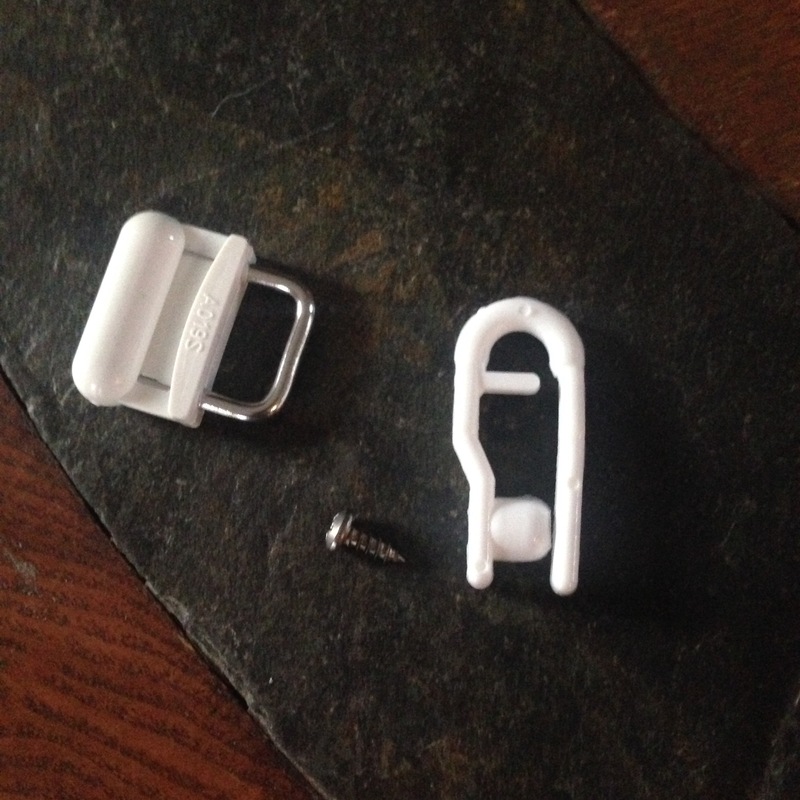 I took some measurements and bought the 7/16 slug and the 15/16 shackle from Sailrite. 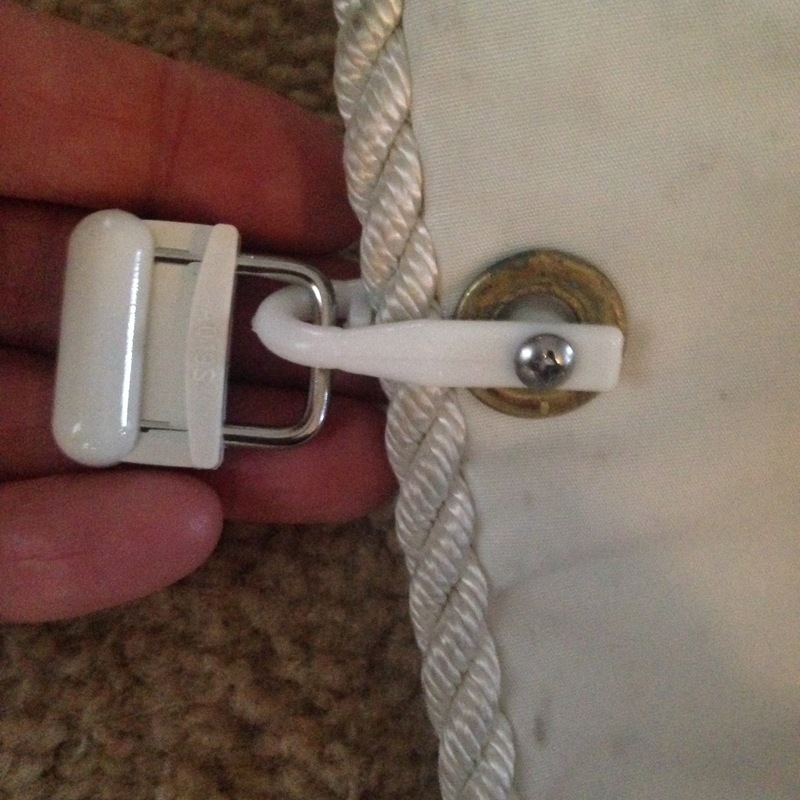 I have 9 grommets and I attached them to my new sail. Of course I could wait, so even though it was starting to get dark we moved the boat out of the garage and hoisted the main sail!